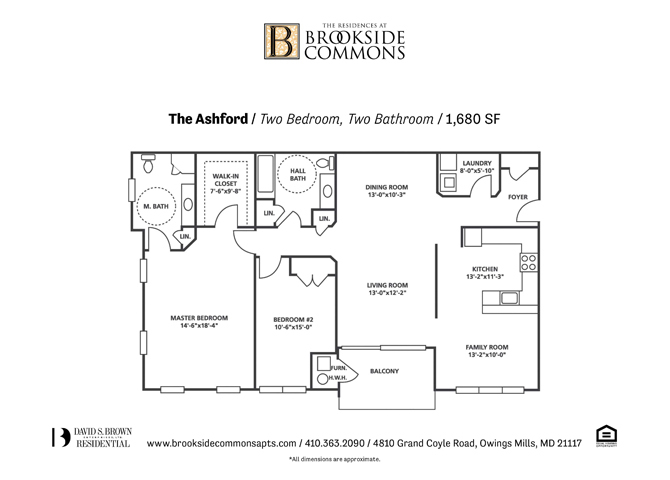 As some of the largest apartment homes in Owings Mills, The Residences at Brookside Commons offer spacious 2-bedroom and 3-bedroom apartments for any lifestyle. Perfect for families or couples, this apartment community allows you to live luxuriously while experiencing unmatched convenience and comfort. Featuring a variety of open floor plans, huge walk-in closets, personal patios and balconies, elevators, and covered parking the apartments at Brookside Commons are ready for you to call home. These Owings Mills apartments are equipped with everything you need to feel right at home. From elevators and covered parking to open floor plans with updated appliances, there is no shortage of community amenities at Brookside Commons. 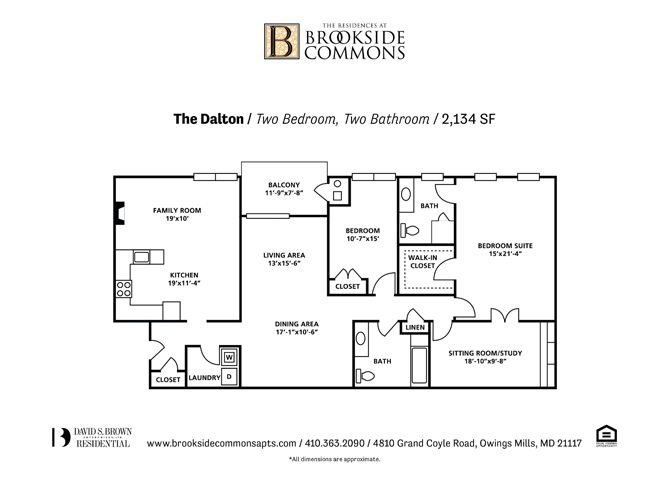 Located in the heart of Owings Mills, Maryland, Brookside Commons offers residents a unique combination of convenience, scenery, and entertainment. Enjoy popular dining, shopping, and recreation destinations right in the neighborhood, including Metro Centre at Owings Mills, AMC Owings Mills 17 Movie Theater and Foundry Row. Explore the neighboring Shoppes at Brookside Commons and visit local favorites like Artful Gourmet and Taj Palace. Major employers and educational institutions including T. Rowe Price and Stevenson University are right down the street. Plus, with easy access to I-795 and the Owings Mills Metro Station, get anywhere you want to go – including downtown Baltimore in just 15 minutes. I have been living here since 2010, and absolutely love it. The maintenance team is great and for the price you’re not going find a bigger apartment. I have lived at Brookside Commons for over two years and I wouldn’t consider moving anywhere else. 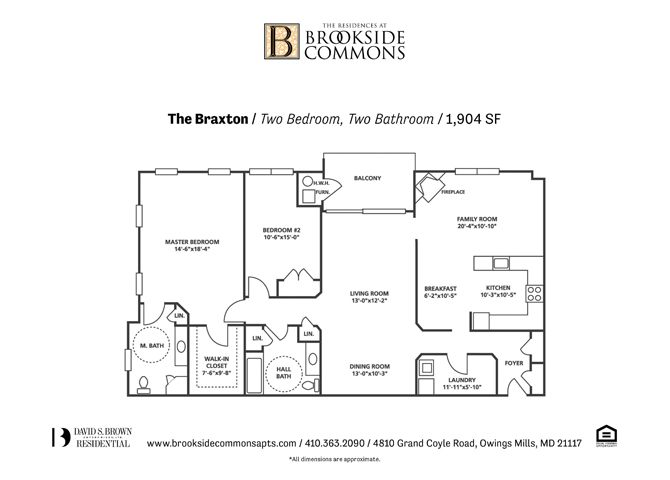 If you’re looking for a beautiful and spacious place to call home, you have to try Brookside Commons. They are the largest apartments in area. I saw them all and nothing compares to the space!